Out on Folkroom Records October 13th, 2014. Paradise of Bachelors is a Record Label, Plus Archive located in the North Carolina Piedmont and in the subluminal aether of Chapel Hill, they has spent the past few years building its reputation as one of the finest labels around for traditionally minded North American music. If they’re putting it out, its worth listening. On May 12th, They will release The Weather Station new Album “Loyalty“, The Weather Station is Toronto’s Tamara Lindeman This her third album titled “Loyalty” recorded in a 19th century mansion outside Paris. Like that studio, or memorable art, the record seems to exist outside time. “I saw recently the works of Mary Pratt, a Newfoundland artist who spent most of her life as a housewife—her husband was a successful painter,” Lindeman said “Her paintings depict domestic scenes—jelly in jars, cod fillets in aluminum foils, a salmon head in a sink, but in such rich, elaborate detail, it’s painful somehow. I guess when I see her paintings, I realize that I’m trying to do the same thing, with my music. One of the great lines in “Shy Women” is: You were staring out, your eyes real straight, like nothing touches you these days/ It seemed to me that luxury would be to be not so ashamed. She explained a bit: “When I say it would be a ‘luxury to be not so ashamed,’ I mean that completely. Shame is, for most women, a constant companion, and is I think the last greatest gender divide, that will be with us for as long as women feel their experience is not worth speaking of, and blame themselves for the actions and feelings of others.” Below, it adds up to a remarkable song. Soft Cat are a hugely underrated folk act out of Baltimore who with “Lost No Labor“. After two years, they are releasing their third album, “All Energy Will Rise”, on April 7th via Miscreant/Father Daughter Records. Today we’re premiering “Somebody” as the first taste of “All Energy Will Rise”, an appeal to our endless search for intimacy, even when it’s an unspecified desire. At the epicenter of Soft Cat is Neil Sanzgiri, whose songs unfurl like ribbons, needling you with each new element: horns, flutes, cello, violin, banjo, and classical and electric guitar. Just days after the release of “Lost No Labor” in 2013, a fire devastated the artist-run gallery, performance venue, and library known as Open Space, where most of the musicians involved in Soft Cat lived. With seventeen members of this artistic collective now effectively displaced, and the recent death of a friend looming heavy, Sanzgiri relocated to a farm to work on new music. These circumstances fueled his songwriting, and “Somebody” feels especially laden with grief, as the whirring, urgent strings fade into quieter vocal melodies. Whilst the emergence of Luke Daniels as a singer songwriter may have caught some flat footed, it perhaps shouldn’t come as a total surprise. He may well have staked a claim to fame as a melodeon player of considerable repute, with the likes of Ian Anderson, De Dannan, as part of the Riverdance band and as a mainstay in Cara Dillon’s combo, but along the way he has recorded several albums under his own name and in tandem with others. It all points towards a wellspring of creativity that you could argue was always heading towards “What’s Here What’s Gone”. While the clues are there, however, the really pleasant surprise is what a bold and accomplished album this is, great songs, a sumptuous sound, containing at its heart a burgeoning philosophy, which adds a whole other level at which this record works. Over the course of a twenty-year career Daniels has already earned his place on the UK Folk scene as a virtuoso melodeon player with the likes of Riverdance, De Dannan and Ian Anderson. Whilst performing with his own band at The London Jazz Festival, The Royal Festival Hall and festivals in the UK and internationally. Luke also worked alongside Howard Shore and The London Philharmonic Orchestra as a soloist on the movie soundtracks for Lord of the Rings and The Hobbit. 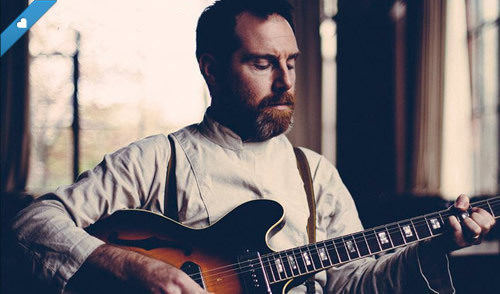 The critically acclaimed singer-songwriter Alexi Murdoch’s second recording, “Towards the Sun”, follows his 2006 breakout indie release, “Time Without Consequence”. Murdoch’s debut cemented him as an Artist to Watch from Alternative Press, and was hailed as “a timeless folk-pop record that’s likely to endure” by NPR Music. Fiercely independent, and supported by a word of mouth groundswell, Alexi Murdoch chose to self-release Time Without Consequence. It has to date sold over 100,000 copies — and continues to sell briskly almost a half decade after initial release. Though his second record has had a long gestation, Murdoch’s reputation as a serious musical force has been growing apace. With no marketing and little fanfare, his debut quietly became one of the most licensed albums of the decade, receiving placements in countless films and television shows, making Murdoch one of those rare artists who is known primarily for how his music actually sounds. Most recently Murdoch was tabbed by director Sam Mendes to helm the soundtrack for the acclaimed 2009 indie film “Away We Go”, contributing nine songs alongside songs by the Velvet Underground, Bob Dylan, George Harrison & the Stranglers. Murdoch tape-recorded the majority of Towards the Sun in Vancouver in a single night while on tour in North America in 2009. Revisiting the tape months later in a basement studio in Brooklyn the arrangements were kept poignantly spare; calling on a small handful of local musicians, the record was finished in a few days. The result is a compellingly stark and raw document of quiet, visceral folk songs that are at once dark and immediate.